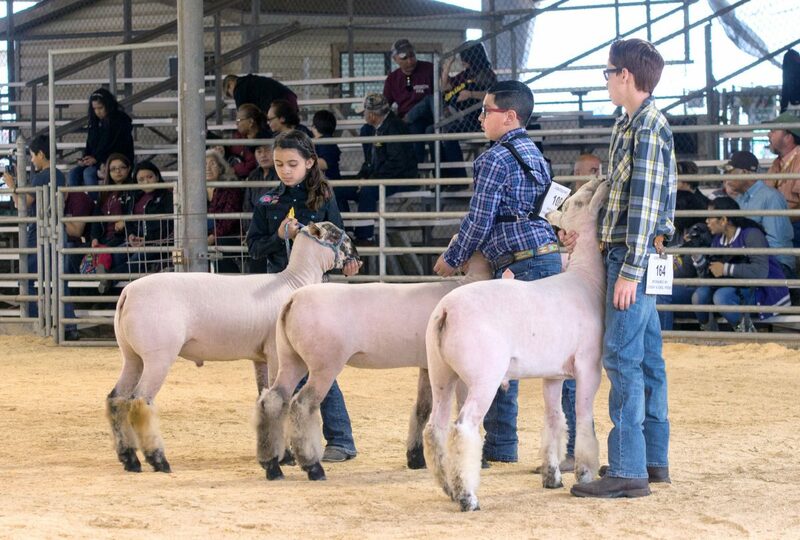 Judging of Market Lambs took place yesterday morning at the Rio Grande Valley Livestock Show. The event was held at the North Barn Arena. MERCEDES — It’s becoming a habit. 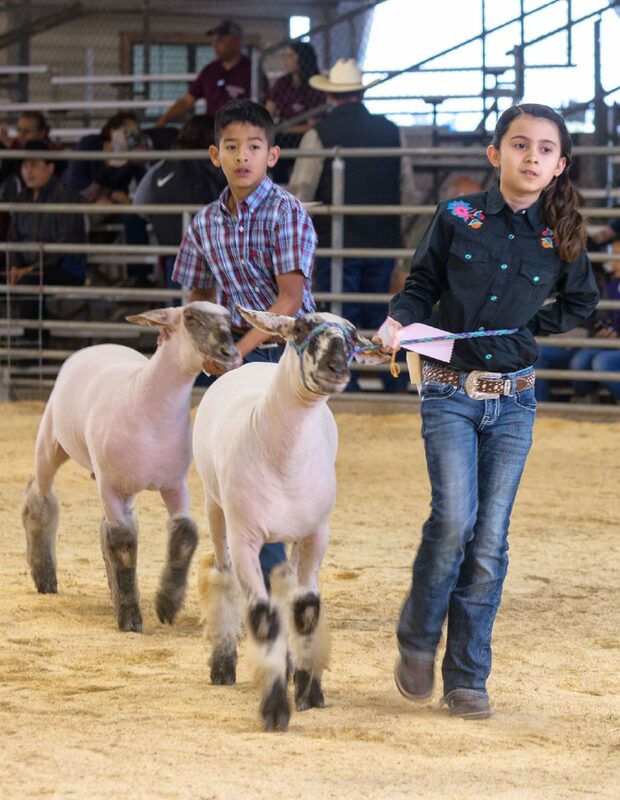 Katy Partida, 14, seems to have found a blueprint for success, raising lambs that walk off with ribbons at the Rio Grande Valley Livestock Show. “It’s a great experience,” said Katy, of San Benito. Her lamb won reserve breed champion in the fine wool division Thursday morning. Last year, the freshman at Veterans Memorial Academy won grand champion. 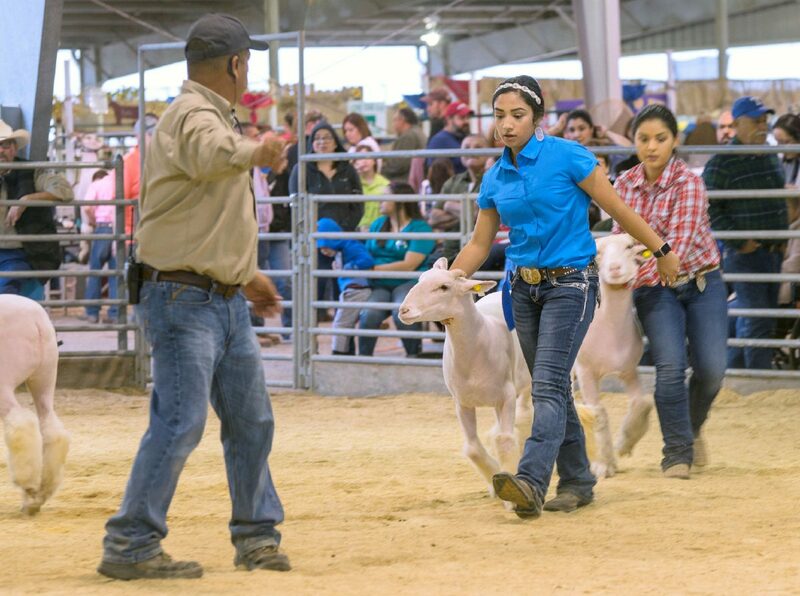 Katie Partida of San Benito guides her lamb out of the arena yesterday at the Rio Grande Valley Livestock Show. Partida’s lamb won 1st Place Fine Wool Medium Weight Division and Fine Wool Reserve Breed Champion. She spoke in-depth of her process for preparing a prizewinning show lamb. Her face lit up as she talked about her years of participation in livestock shows. Meanwhile, Sydney O’Laughlin vigorously combed her medium wool cross lamb before presenting to the judge. “We just bathed him and we are finishing with his fur so they will be able to look at the wool quality as well as the meat,” said Sidney, a junior at the Math and Science Academy in Edinburg. Forrest Hargrove, 12, relaxed with friends after winning a blue ribbon for his class in the fine wool division. “It took a lot of hard work and practice,” said Forrest, a sixth grader at Memorial Middle School in Harlingen. Forrest, a member of Arroyo 4-H, has participated in livestock shows for four years. He also showed rabbits this year and took third place in his class. He enjoys the camaraderie with others. “I like being with my friends and I get to win money for college and different things,” he said.